Don't let the simplicity of this cheap recipe fool you, it's a top quality and very tasty addition to any meal. Combine it with baked beans, tuna mayo or even a serving of curry. 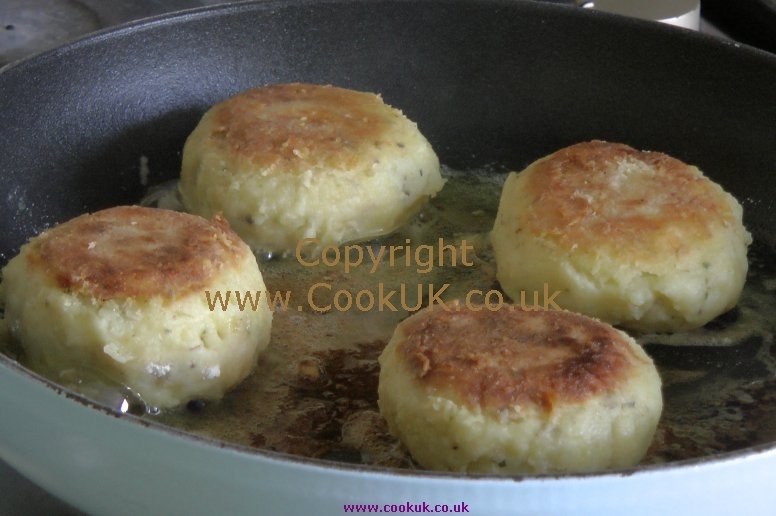 The basic ingredients for the Potato Cakes are shown below. For illustration only, use the ingredients list below. Top and tail, peel and finely chop the garlic. Add the olive oil to the frying pan and put on a low medium heat. Mix the garlic and herbs into the cold mashed potatoes. 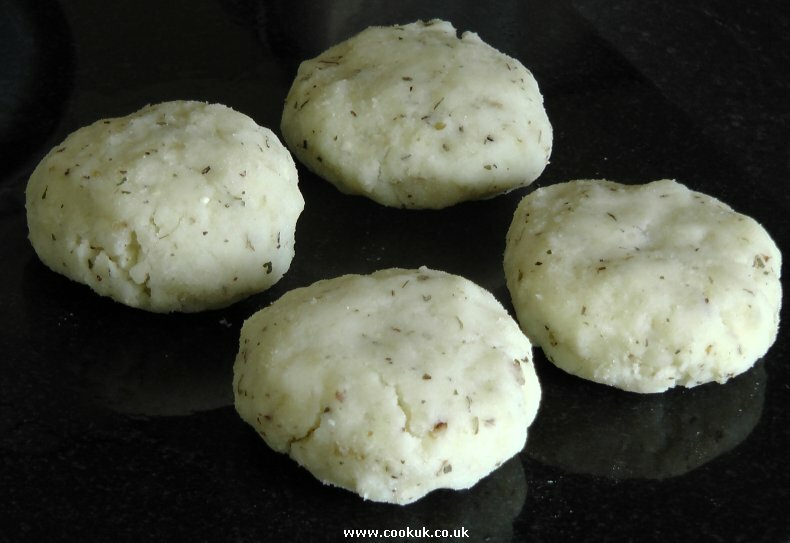 For each potato cake take a handful of the mashed potato and form into a small cake about 5cm (2in) wide and 2cm (¾in) deep. The mixture should make about four potato cakes. 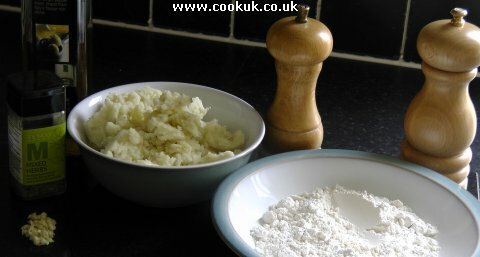 Brush the cakes all over with the whisked egg and then drop them into the flour. Turn the cake until well covered with flour. When all the cakes are formed and floured, carefully place in the heated oil. After about five minutes the base of the potato cake should be golden brown. Turn each cake over, add the remaining tablespoon of olive oil and fry for a further fives minutes until both sides are now golden brown. 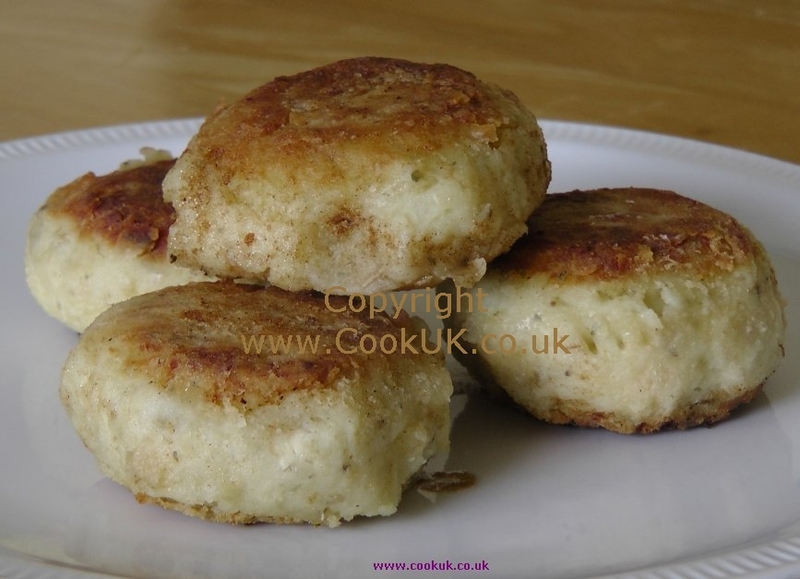 ADD YOUR COMMENTS BELOW ABOUT THIS POTATO CAKE RECIPE. THEY WILL BE ADDED ABOVE WITHIN 12 HOURS.